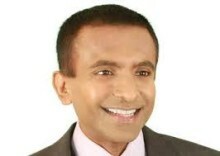 Accomplished author, speaker, and world-renowned hedge fund manager, Monty Agarwal, is being sought out for his unique, global perspective on financial markets and emerging economies. Since his successful book, “The Future of Hedge Fund Investing” (Wiley, 09) was translated into Chinese, Mr. Agarwal is speaking internationally, from China to Dubai, on futures strategies and hedge fund investing … even being recognized as “Mr. China” at this year’s Quant Conference in New York City (April 2013). Monty captivates audiences with his worldly insight and systematic approach to finance and investing. He also brings a deep understanding of Wall-Street ethics, global economic policies and market forecasting. Monty has the experience of working in some of the largest banks and financial institutions in the world, combined with overwhelming success managing his own hedge fund, and becoming a published author. His journey began modestly when Monty migrated to the US from India at the age of 18 to study at the University of Pennsylvania on a full scholarship. He graduated with a Bachelor’s degree in Computer Science and Engineering from University of Pennsylvania in 1990 and further received an MBA in Finance and Economics from the University of Chicago, Booth School of Business in 1996. Monty started his career on Wall Street at Bankers Trust in New York trading derivatives. He was then asked to move to Bankers Trust’s Hong Kong office to help the bank during the Asian crisis of 1997-1998. Monty successfully traded the bank’s currency portfolio through the tumultuous period of massive volatility and currency devaluations during the Asian crisis. Monty also had the opportunity to live in Tokyo, Japan where he ran Asian derivatives trading for Barclays Capital, one of the largest banks in the world. He was hired and worked at some of the largest global banks in the world. In 1999 Monty was approached by BNP Paribas, the 2nd largest bank in the world by assets, to build the Asian trading business and become a member of the bank’s Asian Executive Committee. Within 3 years, BNP Paribas was ranked among the top 3 banks in Asian derivatives under Monty’s leadership. Monty returned to the US in 2003 and launched his hedge fund Predator Global Master Fund in 2004. The fund was nominated as the Best New Asian Hedge Fund and Best Asian Relative Value Hedge Fund, 2005, by Eurekahedge and Terrapinn and had been profitable every single year before it was sold in September 2006. In 2009, Monty also authored “The Future of Hedge Fund Investing” (Wiley, 09), which presented a very critical view of the hedge fund investment industry post the Madoff scam. Due to its global popularity the book has also been translated into Mandarin, Chinese. Over the last 15 years, Monty has given several presentations and speeches on subjects in Finance, Global Economics, Investing and Ethics in China, Singapore, Dubai, London and the US. Monty resides in Palm Beach Gardens, Florida with his two children and is an avid triathlete as well. Do you want to hire Monty Agarwal? Directly request a quote. In 48 hours we can send you the availability of Monty Agarwal If you would like to book Monty Agarwal, Entertainment Booking Agency is the right place. We will offer you the best price and contact the management or we directly contact Monty Agarwal. For corporate appearances or speaking engagements you can contact our agents and the will help you true the process. Tags: hire Monty Agarwal, Monty Agarwal booking, book Monty Agarwal, Monty Agarwal appearances, find more information on booking Monty Agarwal for appearances, Monty Agarwal speaking engagements, Monty Agarwal endorsements/spokesperson, Monty Agarwal appearance fees, Monty Agarwal booking agency contact info, biography of Monty Agarwal, Contact an artist booking talent agent find a speakers bureau that can book Monty Agarwal, speaker booking agency for Monty Agarwal, Monty Agarwal booking agency, Monty Agarwal booking for corporate event. EBA is one of the biggest entertainment booking agencies in the World. We book hundreds of celebrities, artist, athletes and speakers in a year. Important to know is that we are not claiming to be the management of Monty Agarwal. We are not the official agent for Monty Agarwal. Companies from around the globe book these artists and speakers true our company be course we have one of the biggest networks and we always have direct contact with the artist or the management. We help you to find the right celebrities for your corporate of private events. Please contact one of our agents to get free advice and we will help to get the world-famous artist on your party.